On a trip back to midwest I passed through Deshler, Ohio on the afternoon of 03 September 1994. This was always a good time of day for some rail action, and this day didn’t disappoint. Below are a few shots taken in the short time I had there. Doing some switching was CSXT 6045, formerly B&O 4145 (GP40-2). 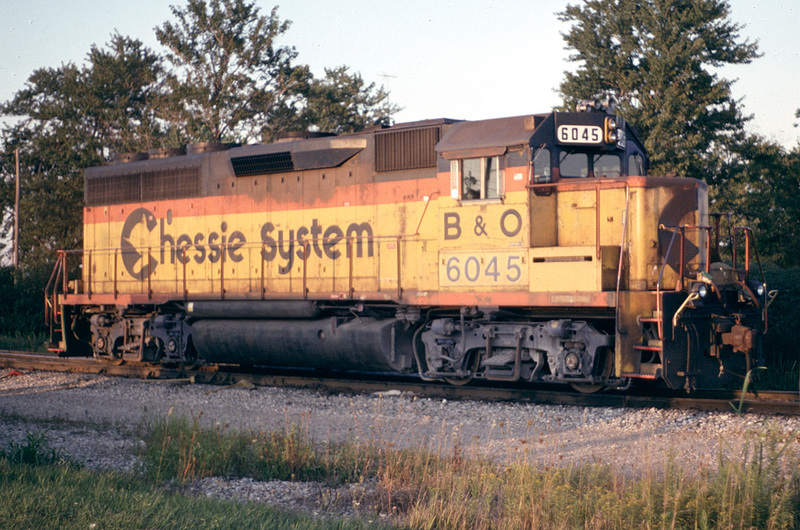 The unit still wears the classic Chessie System paint scheme. 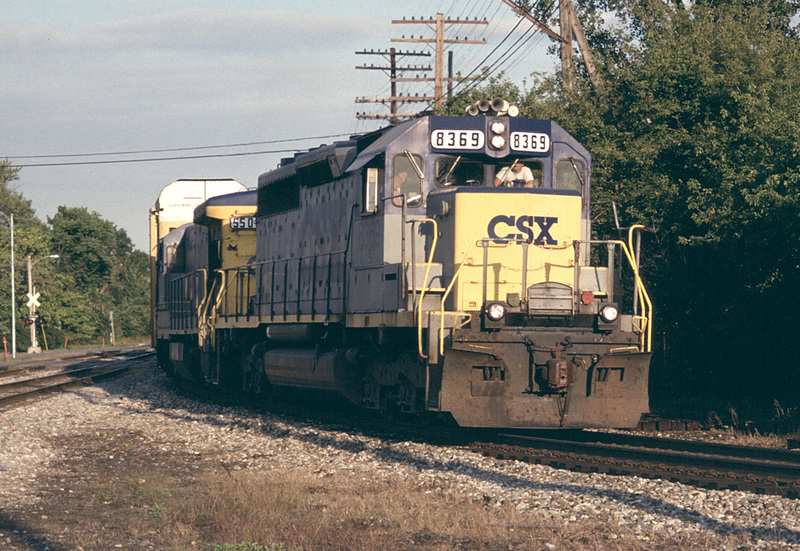 A train appears from the east, led by CSXT SD40-2 #8369 (built as C&O 7510, an SD-40, and rebuilt by VMV). This train will take the curve and head south. 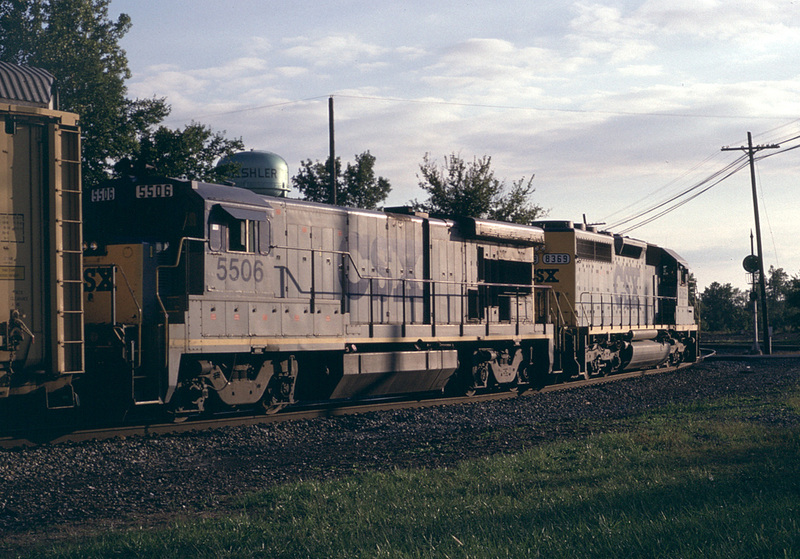 CSXT 8369 leads its train into the curve at Deshler. 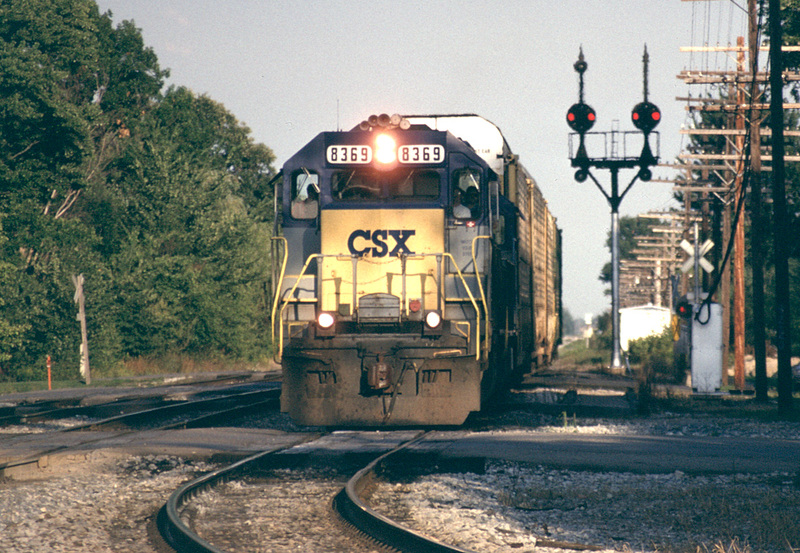 The trailing unit is CSXT 5506, a B30-7 built for the SCL as their #5506.